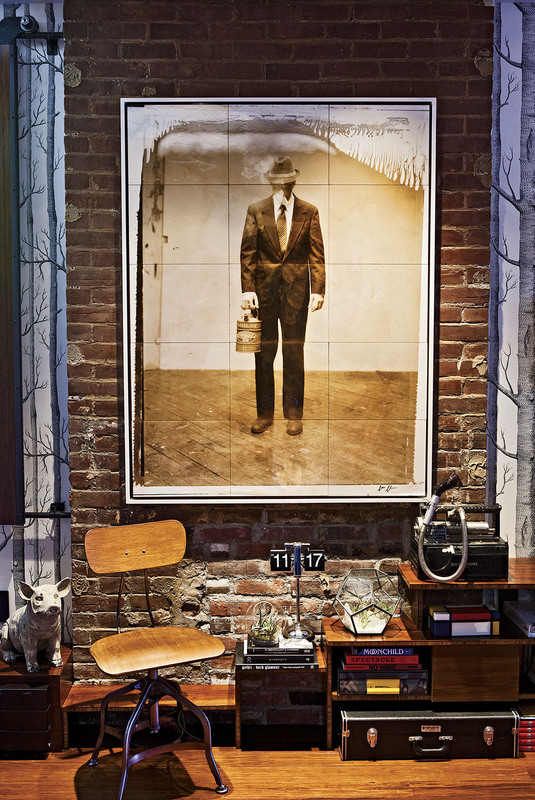 Quirky collectibles and fresh, modern design collide in a South End brownstone. By Alyssa Giacobbe·	 6/3/2014, 4:41 a.m.
Elitis wallpaper along one wall sets the mood in the master bedroom, which features a European art deco bed, salvaged lamps, and vintage side tables, all inherited from the homeowners’ family. 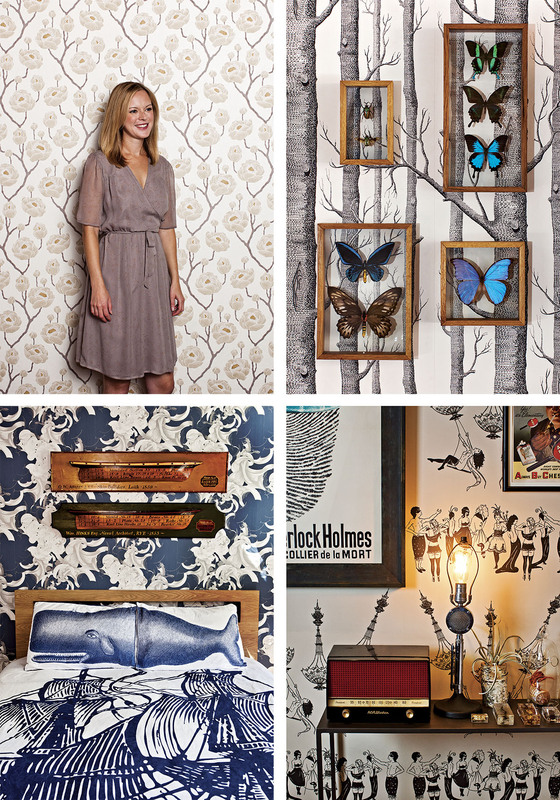 Clockwise from top left, Liana Krupp shows off the couple’s Casa Deco wallpaper; insect shadow boxes from Provincetown’s Wa adorn a living room wall; a table in the hallway holds insect boxes found at Seed to Stem; Michael Krupp found the ship hulls decorating the guest bedroom in his family’s basement. Of course, the best part about purging is the replenishing, something these two happen to be very good at. Their 1,900-square-foot Greek Revival (and 800-square-foot garden-level unit) gave Liana plenty of room to explore her growing fascination with “rustic modern” décor—vintage photos, insect shadow boxes, taxidermy, terrariums—and house their existing collections, which include art deco furniture inherited from Michael’s parents, works by artist friends such as Colin Asquith and Noah Pfeffer, and at least some of Michael’s obsessions, which over the years have included Ralph Lauren polo shirts, concert posters, Sherlock Holmes memorabilia, and ’80s-era handheld video games. 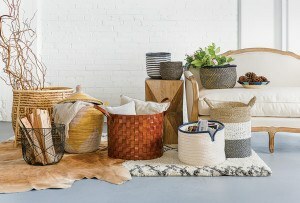 Many of these acquisitions are displayed around the house in salon-style arrangements, or what Liana calls “controlled chaos.” Between them, they own upward of 400 pairs of sneakers, a shared loved you might say brought them together in the first place: The couple met at an Adidas shop in New York’s SoHo neighborhood in 2002. “My girlfriends who worked there were these New York City natives who were deep into sneaker culture,” Liana says. “I’m pretty sure half of anything cool that I’m into to this day is still influenced by them.” She likes, she says, “weird, interesting things that lie somewhere between bizarre and fascinating.” And yes: That’s a stuffed parrot on her mantel. 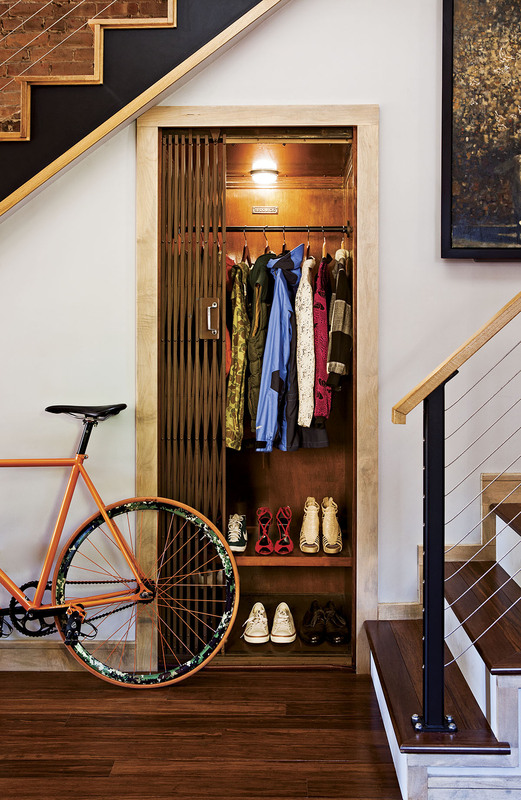 A custom-built Superb bike rests next to a 1920s-era elevator from New England Demolition and Salvage, which serves as a coat and shoe closet. Before the couple moved into the four-story house, originally built in 1896, they commissioned a complete gut renovation of the upper three floors under the direction of architect Joe Stromer. Drywall was broken down to reveal original brickwork—adding more than 200 square feet of space, not to mention a significant amount of character—and the steep, wobbly stairs were replaced with a floating stairway in maple. Stromer created a master bedroom and a guest bedroom on the second floor, each with a private bath, and a TV room with an attached deck offering views of Copley on the third. 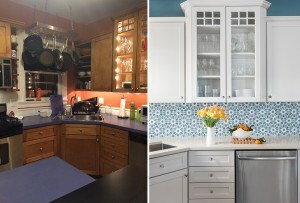 The basement unit, which currently houses Liana’s best friend and frequent collaborator, designer Sam Mendoza, will eventually be incorporated into the rest of the house. Until then, Liana says, “This place is actually working well for our weird little family. I’m seriously the luckiest girl in the world to have my best friend—who my husband can cook and drink mezcal with—living right downstairs.” Having an in-house designer also comes in handy when you have nothing to wear. 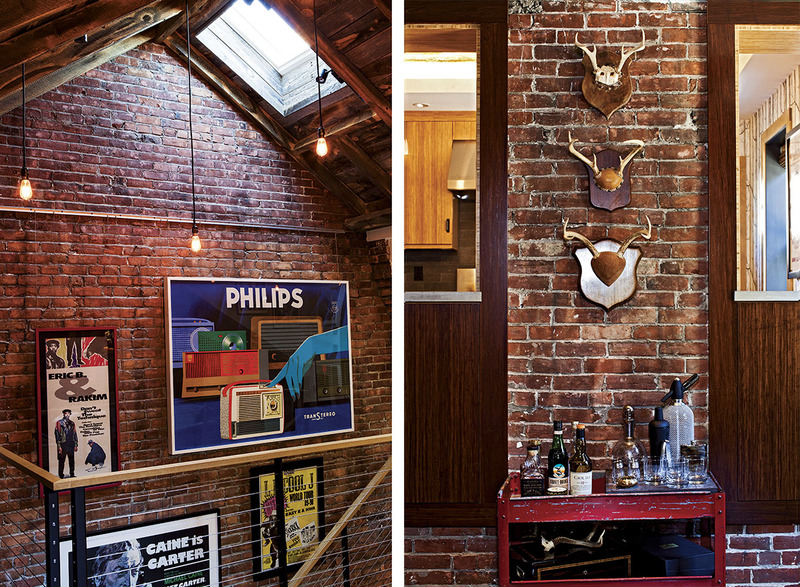 An exposed-brick wall showcases an array of old-school posters; in the dining room, antlers complement a vintage bar cart from Crompton Collective. 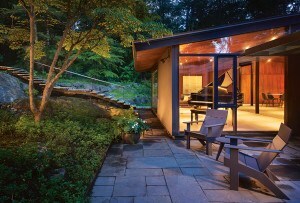 Once the structural changes were made, the Krupps were able to focus on the details. The couple decorated themselves, sourcing furniture, rugs, and wallpaper from Mohr & McPherson, the Cambridge Antiques Market, Lekker, and Schoolhouse Electric, as well as Crompton Collective and Seed to Stem, in Worcester, Silver Fox Salvage, in Albany, and antiques dealers along Route 7 in Great Barrington and Sheffield, close to their second home in the Berkshires. Liana and Michael also upgraded the space with custom woodwork, including built-in bookshelves and sliding wood shutters from Mystic Millwork, as well as ceilings made of Wyoming snow fence. “We wanted to blend a more loftlike space, full of exposed brick, with this warm wood feeling we have at our Berkshires cabin,” Liana says. 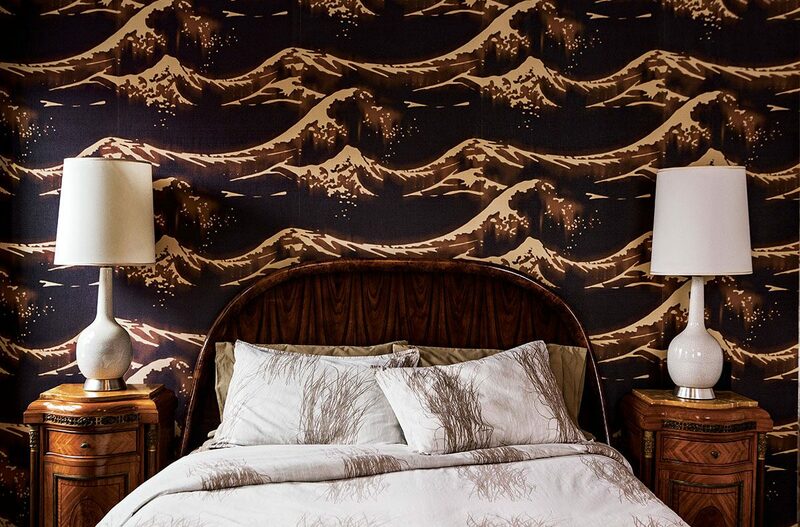 A piece by the artist Steve Lambert hangs atop cheeky wallpaper from the U.K.-based company Dupenny. Although every bit of floor and wall space in the Krupps’ house is used, it’s not at all a mishmash. 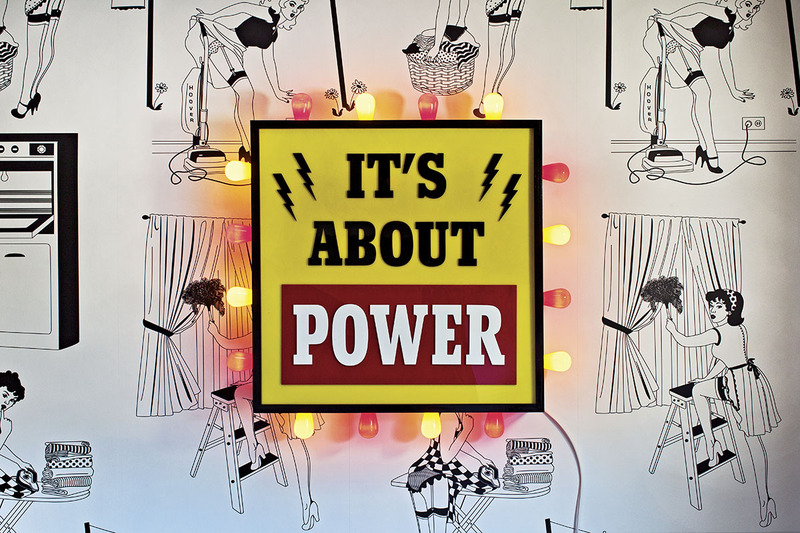 Rather, it’s a seamless blend of styles that’s neither too masculine nor too feminine—a balance that can be hard for many couples to achieve, if they even agree on décor at all. “Michael and I have been together since we were in our twenties, so our aesthetic has grown together and often informs one another’s taste,” Liana says. “He definitely leans to more modern lines and absolutely has more stuff, but loves wood and brick and old rusty things. 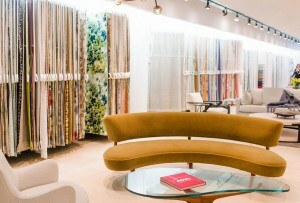 I love patterns, colors, things that feel old but not dingy.” It’s a marriage that works, in more ways than one. A photograph by Boston’s Stephen Sheffield hangs above a chair from Urban Remains. Custom Mystic Millwork shelving displays terrariums, a vintage Dictaphone, and a saxophone case. 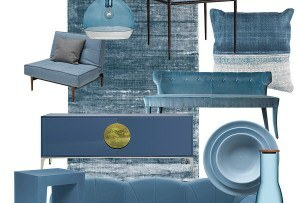 Where to find décor inspired by this feature. 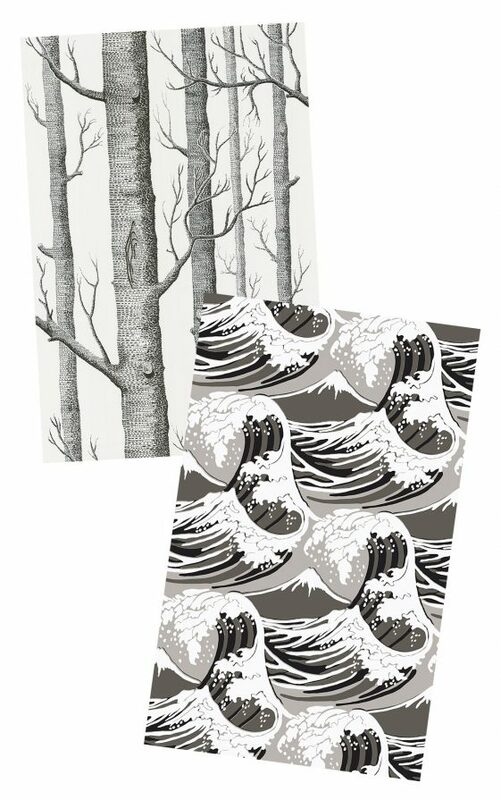 New Contemporary Two “Woods” wallpaper, $178 per roll, Cole & Son. 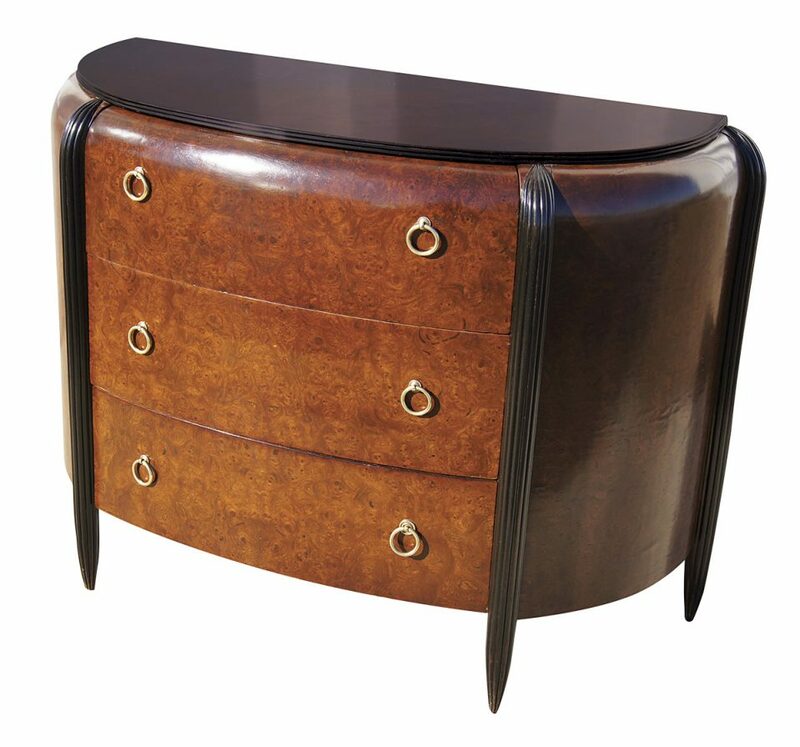 French art deco dresser, $3,200, Machine Age. 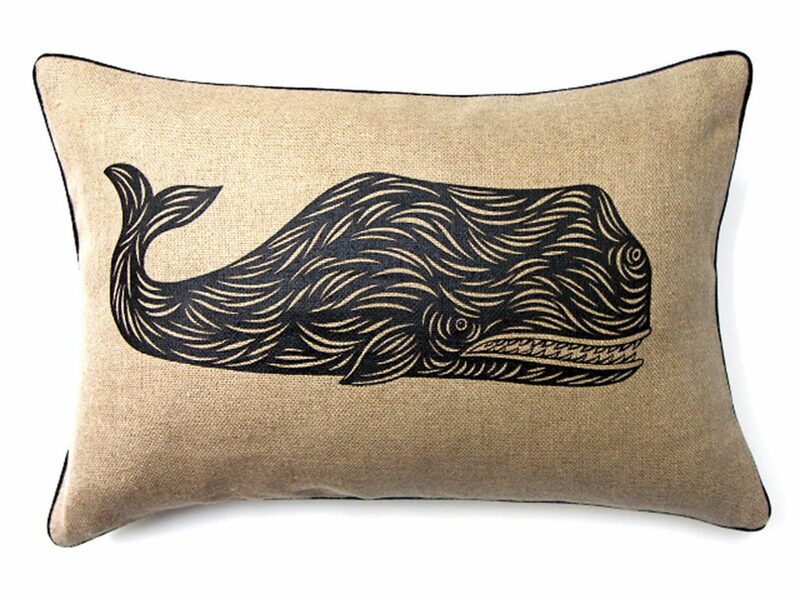 Whale pillow, $120, Patch NYC. 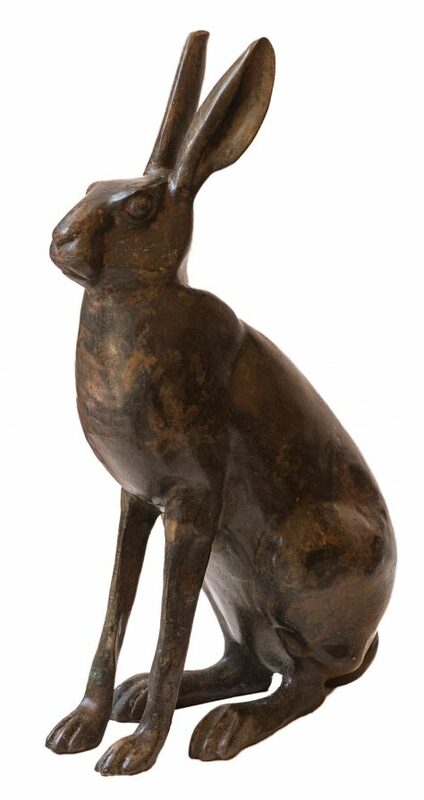 Handcast bronze jackrabbit, $299, Michelle Willey. 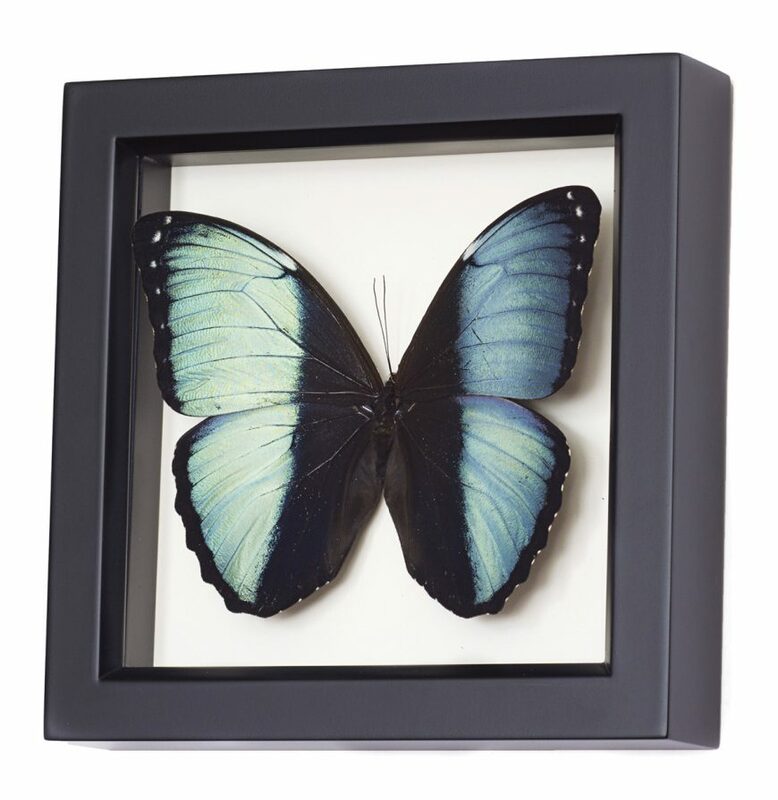 Framed Morpho achilles butterfly, $40, Bug Under Glass.